This news item was posted in Pakistani News category and has 2 Comments so far . Real estate industry has become one of the most technology-dependent industries in today’s digital world. The influx of information related to property listings can only be communicated efficiently to property-seekers through use of new technology. A large number of marketing tools are available which can be used to boost sales efforts. Therefore, it is integral for real estate portals and agents to stay abreast of the latest technologies which can help promote their property offerings. Studies show that nowadays, people spend a considerable amount of time researching about properties online before making the decision to buy them. This makes it essential for the real estate portals to maintain their websites. These websites cater to diverse consumer needs such as the size of properties, their location, outlook and cost and offer a one-stop solution to buyers’ housing needs. The major portion of online marketing is now being done through social networking tools. The popularity of these tools with property-seekers is primarily because of the unlimited options offered by them. Now people can easily compare the prices across different real estate agents and find the property which fits their demands. All real estate portals now strive to remain active on all forms of social media including Facebook, Twitter, LinkedIn, Google Plus etc and to interact on a consistent basis with their followers. In order to achieve maximum exposure of listings, the real estate websites are now offering mobile applications which offer customized search functions, allowing people to filter out the properties that match their requirements. 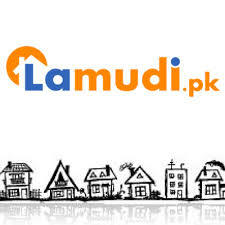 Lamudi.pk, Pakistan’s number one real estate portal, has recently launched an android app which covers 28 countries from Lamudi’s global network and provides a free mobile platform to buy, rent or sell real estate on android devices. The application also offers house-hunters the option of getting alerts which notify them whenever a property which matches their needs hits the market. These developments in technology have reshaped the real estate sector by allowing people to gain valuable insight into the real estate offerings from anywhere across the globe, anytime of the day. As property-seekers are becoming tech-savvy, it is important for realtors to make use of advanced technology to reach out to them.